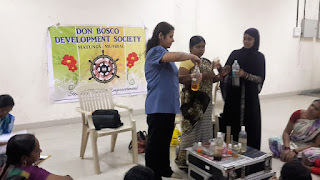 Mumbai, 8-September-2017: The Don Bosco Development Society (DBDS), organized a two days training workshop on ‘Phenyl, Agarbatti and Perfume Making Business’. 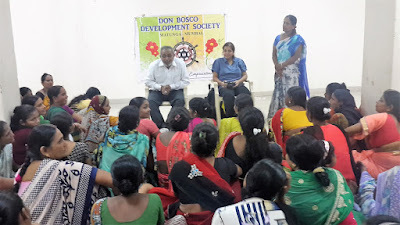 It was conducted on 7th and 8th September for the Self-help Group (SHG) women from Rajiv Gandhi Nagar slum in Dharavi. More than 40 SHG women successfully completed the entire training. 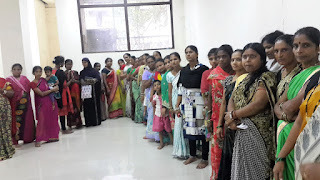 Mrs Surekha Pednekar (DBDS – Coordinator) in her inaugural speech motivated the women to use the skills that they were about to learn and through those skills earn some extra income for their house-hold. This training was held in association with Dattopant Thengadi National Board for workers Education & Development. 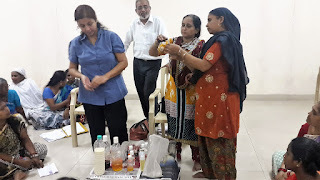 The participant women learnt how to make Phenyl, Agarbatti and different types of perfume in a very cost effective manner. The objective of the training was to motivate women to acquire skills and to initiate income generation activity so as to increase their household income. During this 2-day workshop they were also taught in detail about marketing, costing, budget, pricing and promoting their product. The participants dedicatedly learnt the skills and were determined to start a small business. The workshop ended with the vote of thanks proposed by Mrs Kavita Kamble (DBDS – Staff).